The Air Jordan 7 “Bordeaux” is one of many iconic sneakers in Jordan Brand's vast collection. Dating back to 1991, this colorway of the Air Jordan 7 has been sought out for by many - for many years. The last time we seen the Air Jordan 7 “Bordeaux” hit retailers was 2011, so we've waited 4 years for this sneaker to drop again. 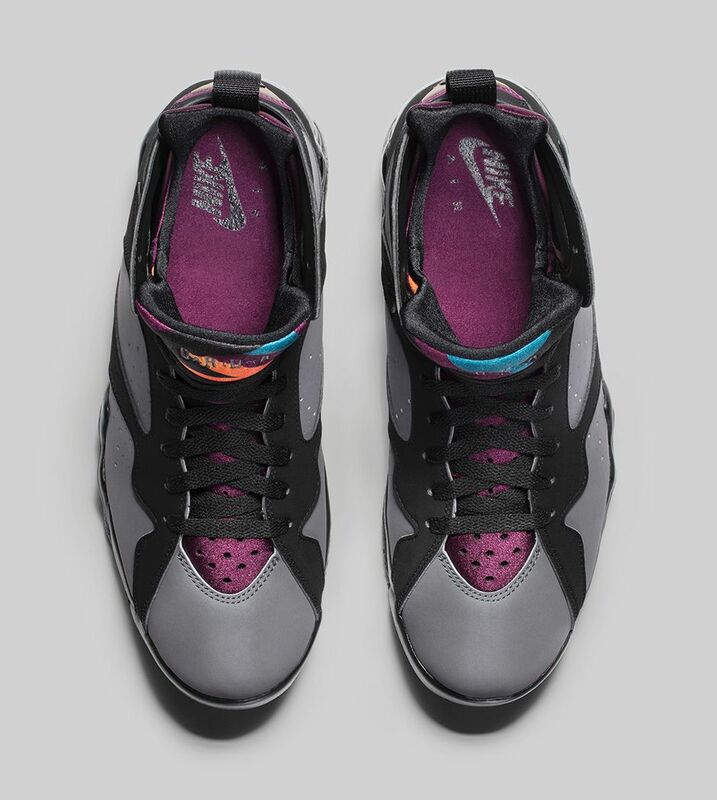 The Air Jordan 7 “Bordeaux” is a sneaker Jordan Brand's 30th anniversary couldn't do without. The light graphic and midnight fog upper brings us a nostalgic feel as bordeaux, blue, yellow, and green finish the design off. Coming to retailers July 18th, let us know if you're planning on copping more than one pair next weekend!